The Oral History Archive is the heart and soul of NVLP. It serves as both a tool and methodology, enabling us to impact schools and communities. Since its founding in 2001, NVLP has developed a unique program portfolio designed to target three specific areas: cultivating social responsibility, learning to value differences and connecting generations. 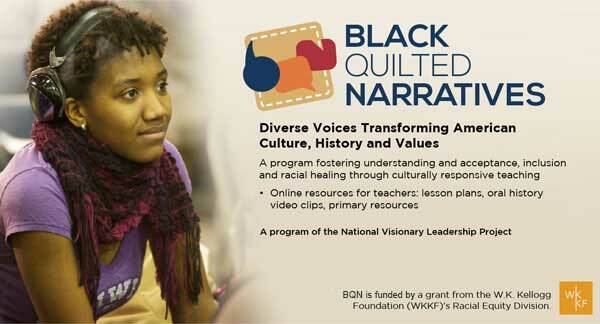 Read more about NVLP’s newest program, designed with a grant from the Kellogg Foundation: The Black Quilted Narratives: Diverse Voices Transforming American Culture, History and Values (BQN).